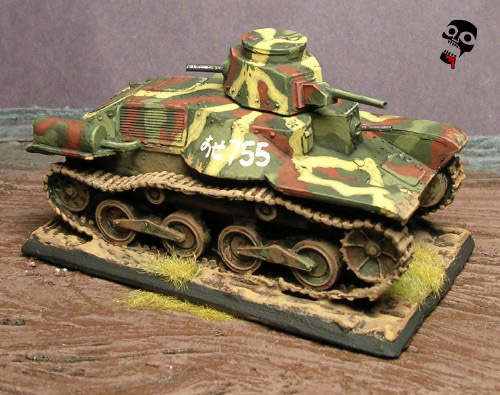 This is a Japanese type 95 Ha Go Tank in 1/56th scale. 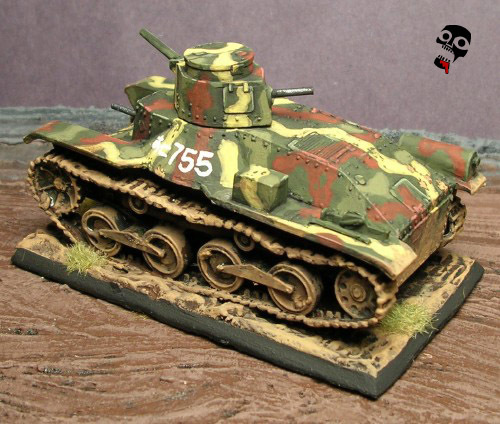 These were small tanks and it shows... 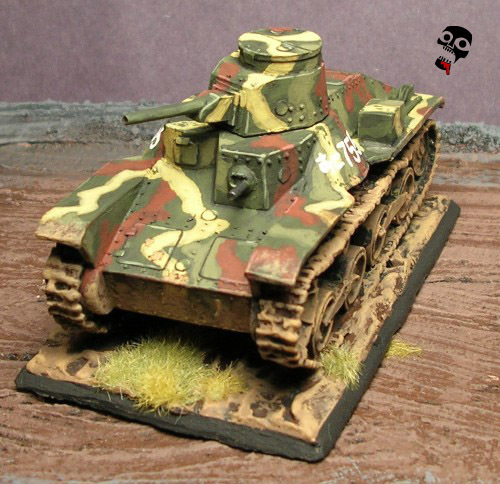 Considering my tanks are in 1/48th scale it shows all that much more! 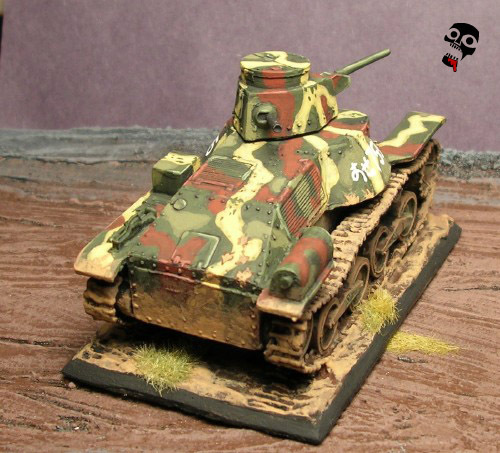 Still, it isn't a bad little kit from Company B. There are a few issues with the detail (for example the exhaust area), but all in all not too bad.